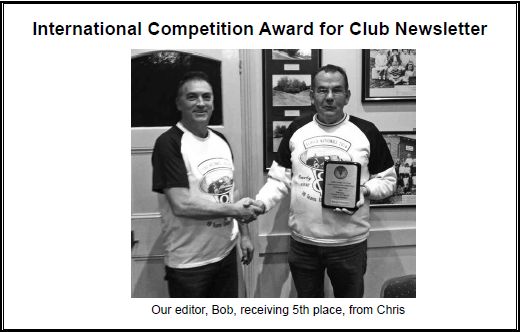 The club newsletter, The Side Valve V8 Times has been awarded 5th place in the 2015 international judging system for newsletters for the 3rd consecutive year. This presigious award rcognises the work of our editor, Bob Felsovary, and the input from various club members. Also we got special prize from bestauscasinos.com.